Today, Marvel finally stopped teasing fans with the impending Avengers: Endgame trailer and released it for all to see. 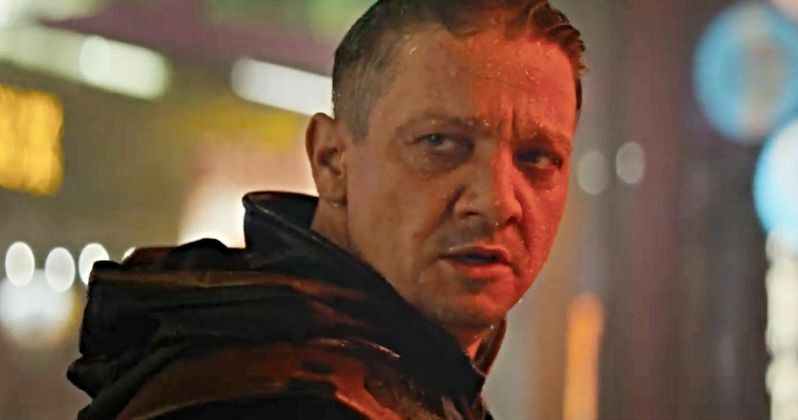 One of the biggest moments this quick two minutes has to offer is a first look at Jeremy Renner's return as Hawkeye. From the looks of things, he has picked up the Ronin mantle first revealed in the pages of the comic books upon which all this madness is based. Up until the big Avengers 4 trailer dropped, we haven't seen Jeremy Renner's Hawkeye since 2016's Captain America: Civil War. During the promotional run for this year's Avengers: Infinity War, Clint Barton was nowhere to be seen. This set fans into a frenzy. And we were treated to quite a bit of fan art that inserted the character into the narrative, even though he didn't belong there. Some concept art has leaked over the past few months for what is now being called Avengers: Endgame, showing Hawkeye in his new Ronin costume. We don't actually get that big reveal here. We only see Ronin from the back, wiping off a sword. He has just killed quite a few, what look to be, Yakuza with his new blade. He is hooded, but he removes that hood before turning to face Black Widow. Then we see Clint Barton's face. It's not revealed what happened to Clint during the events of Infinity War. It is believed that Thanos' decimation has wiped out Hawkeye's wife and kids, and he's gone rogue. When last we saw Hawkeye, he had just fought alongside Iron Man in what has become known as the Clash of the Avengers. He was briefly imprisoned at the Raft under orders of Thaddeus Ross. He was later freed and went into retirement. Like Scott Lang, who we got to see after Civil War in Ant-Man and the Wasp, Clint was placed under house arrest. What is known thus far is that after the decimation, Clint has turned into a ruthless vigilante assassin known as Ronin. The details of how and why won't be revealed until Avengers: Endgame hits theaters in April for most, May for the States (which according to the end slate in the trailer may have changed). Judging from the trailer, though he sat out the entirety of Infinity War, Ronin (or Clint, or Hawkeye, whatever you want to call him) will play a key part in defeating Thanos and restoring order to the universe. Scott Lang seems to be in the same position. And he has somehow managed to escape the Quantum Realm on his own. You can take a look at Clint Barton's return in the images provided here from the trailer, which arrived direct from Marvel this morning. This first look footage doesn't show us much. But what it does show is enough to get everyone excited for what's to come this summer. We are definitely in the Endgame now.